For a number of reasons, investing in property in Belize can be a smart move. Despite a booming tourism economy and a rising foreign interest in the nation, real estate in Belize is still relatively affordable, allowing buyers to purchase beachfront property for far less than they might imagine. While buying property in Belize can absolutely be a smart investment, it is still a decision that should be carefully thought out. Here are some of the top considerations to make before investing in property in Belize. What is the Goal of the Property? First and foremost, it is key to consider what your ultimate goal for the property purchase will be. For some investors, the point of buying real estate in Belize is to build equity, hoping to sell the homes at a higher cost in the future. You may also want to bring in consistent rental income by turning a home or condo into a vacation rental for visitors from around the world. Of course, you may wish to vacation there yourself, in which case the right purchase will likely be one close to amenities and attractions that you enjoy most. 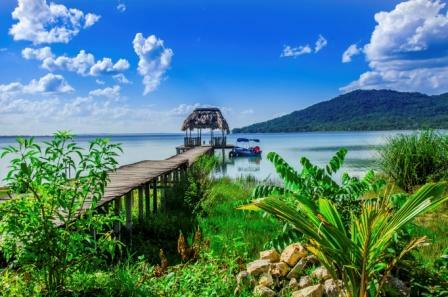 Finally, an investment property in Belize can be a way to prepare for retirement, especially if you plan to retire to a warm, tropical destination. A major reason to invest in Belize rather than any other destination is because of the affordable real estate. However, just like in any other property market, prices can vary depending on location, home size and a range of additional factors. Before you start considering locations, communities or any other decisions related to picking the right real estate in Belize, consider what you can afford to spend and what, if any, financing will be required to get started. With a specific numeric range in mind, you'll be better prepared to narrow your scope of inquiry and focus on the homes that best fit your needs and your budget. What Area of Belize is Best For You? Next, think about what part of Belize is the best place for you to purchase property. If it is commercial property you're after, then something in San Pedro or even Belize City might be ideal. If you're looking for a destination that offers community spirit, onsite amenities and a resort feel, but also boasts a great mix of expats and locals, then Ambergris Caye is an even better choice. Ambergris Caye is also popular with tourists, making any real estate in the area a great opportunity for those interested in making income from vacation rentals. How Important is Community to You? If you're investing in property for your very own vacation retreat, a spot you plan to return to year after year, then the surrounding community and amenities might be just as important as the home itself. The same is true for those planning to retire to Belize or live there full-time at any age. A wonderful choice for those interested in a savvy investment as well as a welcoming and hospitable place to live is the Grand Baymen, a community that boasts a fitness center, pools, onsite dining and exclusive beach access. Investing in property in Belize can be a smart move; just be sure to consider the importance of community, location, budget and investment goals before you take the plunge and purchase the perfect piece of real estate in Belize. Find out more about the benefits of investing in Belize for retiring or vacationing.